I'm back with another mani for the Year's Challenge. 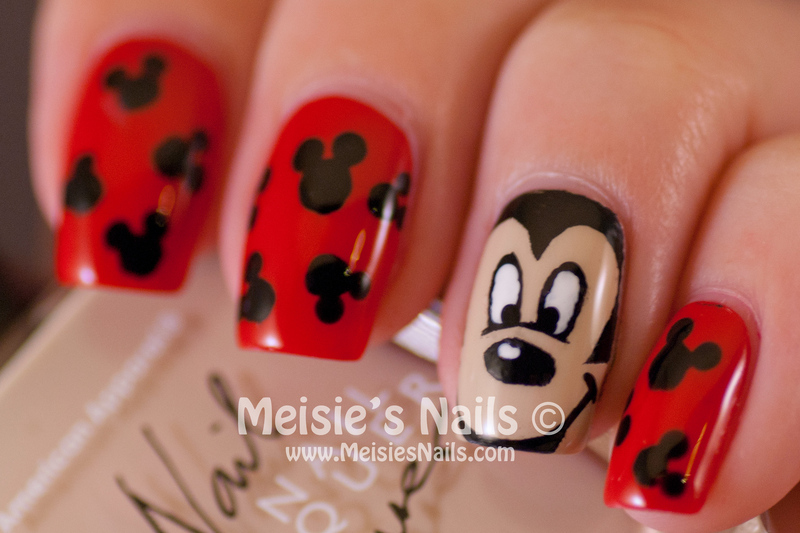 I had a hard time deciding which cartoon character I'd base my mani on since I like soooo many cartoon characters. First I thought about Garfield, then Hello Kitty and Scooby-Doo but ended up with Mickey Mouse!